Please fill in your Details if you’d like to Discuss a Work Injury Claim. If you have been injured while at work, you might have the right to claim some compensation. Typically, you have about three years to file a claim following a work incident. Can you Make a Work Injury Claim? You might also be surprised to learn that you can even file a claim for compensation if you hold some responsibility for the accident. For example, if you cause the incident, but you were injured because you were not given the proper personal protective equipment or the right training. Additionally, employers have the responsibility to ensure the welfare of certain types of workers. These included people who are disabled, pregnant, or under legal adult age. Most industries and business activities fall under the laws and Approved Codes of Practice, which comes from the Health and Safety Executive. All employers must comply with the regulations, and if they don’t, they could be found negligent. Accidents when working abroad – Since the incident occurred in a foreign country, the time limits might be different. Children – If an incident occurred before the child turned 18, you have until they are 21-years old to make a claim. Defective products – If the incident was caused by a product found to be defective, you might have up to 10 years to make a claim from the time the product was released to the market. Those lacking mental capacity – If the incident occurred to someone lacking mental capacity, such as following a brain injury, there is no limit. The bottom line here is that it doesn’t matter what happened; you should get in touch with our team as soon as you can, and we can start the investigation process. When you come in for a free consultation, we will look at the case you believe you have and determine the best way to move forward. There is no cost to you and everything said in this meeting is confidential. If we believe you have a case, we will start talking about who is at fault for the work injury. If this is not immediately obvious, we have a qualified team of expert investigators. Once we determine responsibility, we can contact the responsible party to determine if they will accept that responsibility. It’s likely that your employer will do an internal investigation of the incident, too, so you should also fully cooperate with that. We then will look at the impact of your injury on your life and talk to medical experts if needed. We then will calculate the amount of compensation we believe you need. With any serious injury claim, we then will look to get compensation pay in the interim. This is compensation that comes to you before the full amount is settled. This money is generally used to cover any immediate expenses. We also have specialists to help you with support and rehabilitation, as needed. Most of the claims we handle are settled outside of court. However, there are cases where the responsible party does not accept responsibility or does not agree with the compensation amount. If this happens, we will start the process of going to court. If your case gets to this point, we are there to help you each step of the way and prepare you for anything that might happen. Once we start your claim, your lawyer will manage any and all communication about the case with your employer. There are very strict laws to protect your rights as an employee when making a claim against your employer. Your place of work must fully comply with the investigation, and they cannot treat you any differently based on this claim. General Damages – This compensation is given to compensate you for the pain and suffering you have gone through due to the injury. Special Damages – This compensation is given to compensate for any of your expenses, loss of earnings, or future care needs due to the incident. So, based on that, you can easily see why it’s difficult to come up with an “average” amount of compensation. Instead, it’s necessary to look at your personal circumstances. This is where an expert lawyer can truly help to get you the compensation you deserve. How Long does a Compensation Claim Take from Start to Finish? It can take as little as a couple of months to years to settle a compensation claim due to a work accident. If the injury is severe, it usually takes longer. If the employer has taken responsibility for the incident – if the company has not, the case often takes longer. If the Health and Safety Executive is involved in prosecuting the employer – if yes, you might have to wait until that case is resolved before starting yours. How severe the injuries are – if the injuries are severe, it’s typical to wait until the full extent of the injury is determined. This ensures that you get the compensation that you deserve. In your employer admits that they are responsible, you might get interim compensation before the case is closed. You can get this compensation ahead of time to help with immediate expenses. 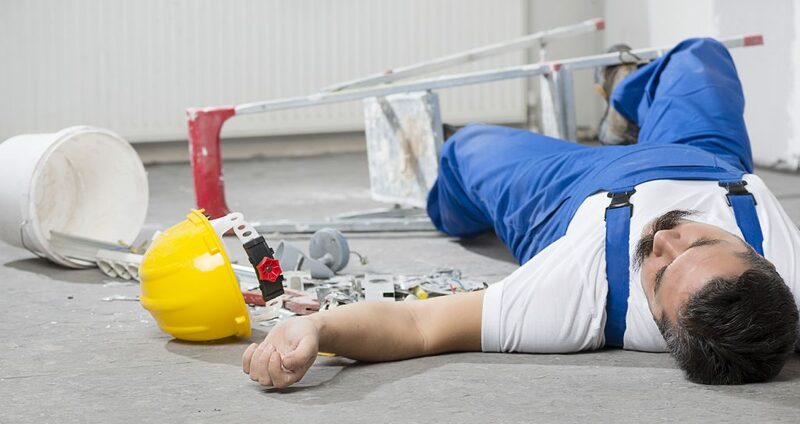 How Can I Pay for a Claim for a Workplace Accident? Legal Expenses Insurance – You might have this insurance if you are a member of a union, or sometimes this is part of home insurance policies. Most of the claims that we take on are funded with a No Win, No Fee agreement. This means that you never pay any upfront costs, and you won’t pay anything if we don’t win the case. What Rights Do I Have Following a Work Injury? If you think you are being treated unfairly because you are making a claim against your employer, you should put your concerns in writing, and then ask the employer for an explanation. If your employer does not address your concerns, you should speak to a lawyer about the situation. We can help by giving you advice on the situation, and if necessary, represent you. Can I be Dismissed if I Can’t Do My Job Due to My Injuries? Though there are no rules about how long you can have off before your employer can dismiss you, again, there are laws to protect you. If you are absent for a long time due to your injuries, your employer can only dismiss you after they have looked at all of the other options. If your case is classified as a disability, things might be different. In this case, you would still be protected, but as a disabled person. A disability is any mental or physical condition that has a substantial and long-term effect on your daily life. In general, long-term means longer than 12 months, and daily life activated include things like walking and getting dressed without assistance. We can help you determine your rights if you believe that your employer is not treating you fairly. Our team of expert employment lawyers are dedicated to helping those involved in employment disputes. You can contact us for a free consultation of your case. If My Injury Occurred in Scotland, Can You Help? Yes, we have Scottish lawyers who can help you if you became injured in a work accident in Scotland. We have helped many people get the compensation they deserve, so our team has the expertise you need to get the most positive outcome. You might wonder if you will get paid following a work accident. This depends on the contract you have with your employer. You might get paid time off following an accident. If you do not get paid time off, we can help to take those lost earnings into account when filing for compensation claims. Additionally, you might be qualified for Statutory Sick Pay, though you can only collect this payment for 28 weeks, and it’s usually lower than your normal wages. So, it’s very important that you get the process started as soon as possible, as you might need interim compensation to pay for things like medical treatments or medical equipment before your case is fully settled. What Benefits Can I Claim if I Have Been Injured At Work? We will fully review any benefit entitlements, and we will make sure that you understand anything that you might receive. We can also help you with welfare issues following a serious injury. There are additional benefits available if a family member has died due to an accident in the workplace, such as Bereavement Allowance and the Statutory Bereavement Award. You can find more information about how we can help on our website.